No surprise this week as we have a heap of new variants with the release of Avengers Vs. X-Men #10, and a bruised and battered Spidey only barely appears towards the end of the book. 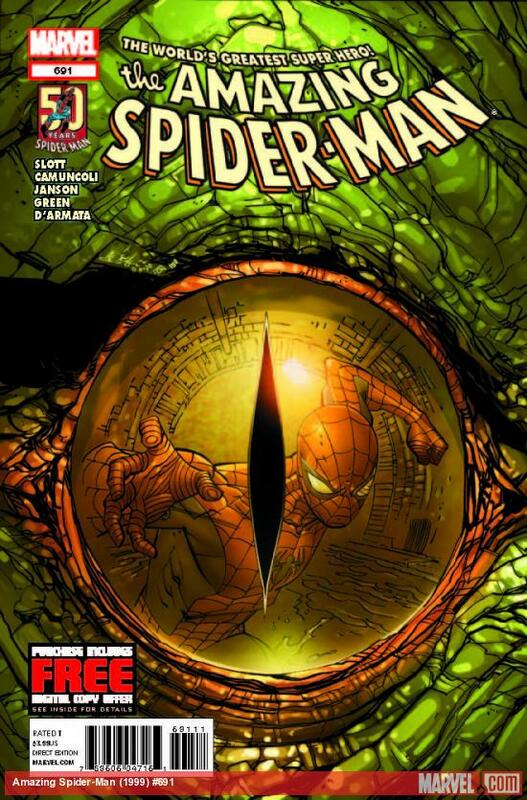 In total there are 12 new Spider-Man comic book appearances. If you grab the 3rd issue of the Marvel Super Heroes Magazine, be sure to look for both covers. As of this issue they are publishing 2 different covers. You gotta love em for that (sarcasm). And these are newsstand barcode editions too, since they no longer print a unique direct edition for comic shops any longer. Have a great week boxdiving!